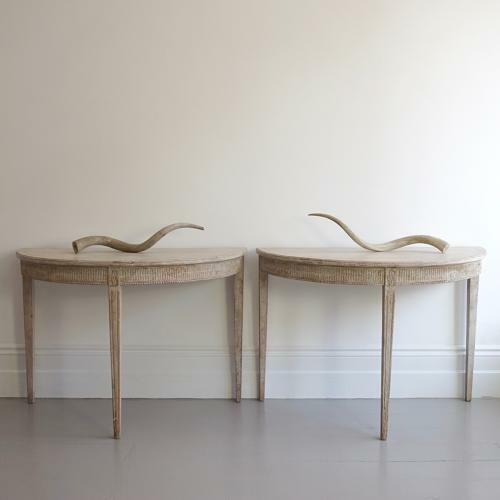 A wonderful pair of decoratively carved Gustavian period demilune console tables that can also be utilised as a round breakfast table, or centre table. These tables feature very fine fluted carvings to the apron, and long elegantly tapered and fluted legs topped with rose carvings. Retouched original paint. Swedish circa 1790 - 1800.